Shoulder rumble strips (SRS) and centerline rumble strips (CLRS) on two-lane rural highways are proven safety countermeasures. Placement of both SRS and CLRS can usually be accommodated within wide pavements (24 ft or greater paved width) without issue. However, proper placement of one or both is less straightforward for highways with paved widths less than 24 ft. Placement becomes especially difficult as widths approach 20 ft. Contributing factors such as traffic volume, roadway alignment, and the posted speed limit may suggest the use of one type of rumble strip over another. However, limited guidance currently exists regarding the minimum paved width necessary to install both SRS and CLRS, or which of the two to install when the installation of both is not feasible. 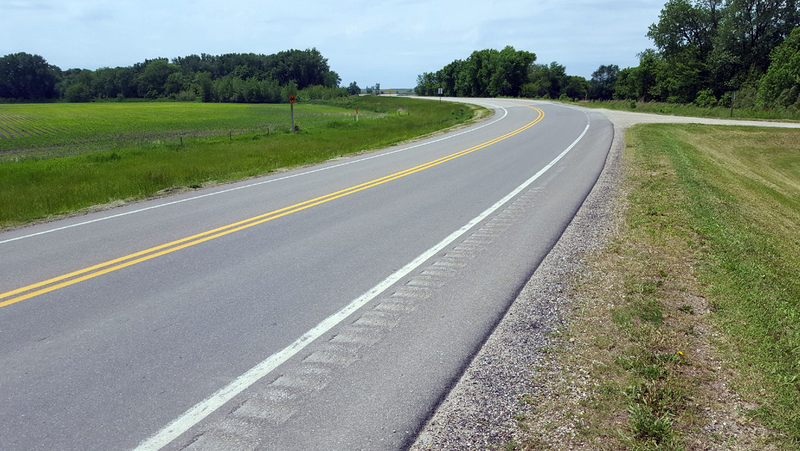 The purpose of this study is to provide guidance to assist county road agencies, as well as the Iowa Department of Transportation (DOT), in determining when to install rumble strips based on various site-specific factors.